Tired of just complaining about small businesses closing? Then show up and make some noise for something that can actually help. 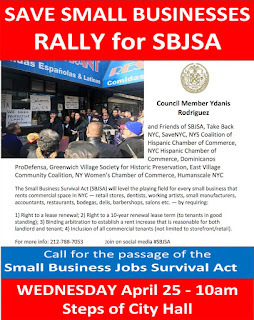 On Wednesday morning at 10:00, join the rally for the SBJSA on the steps of City Hall. 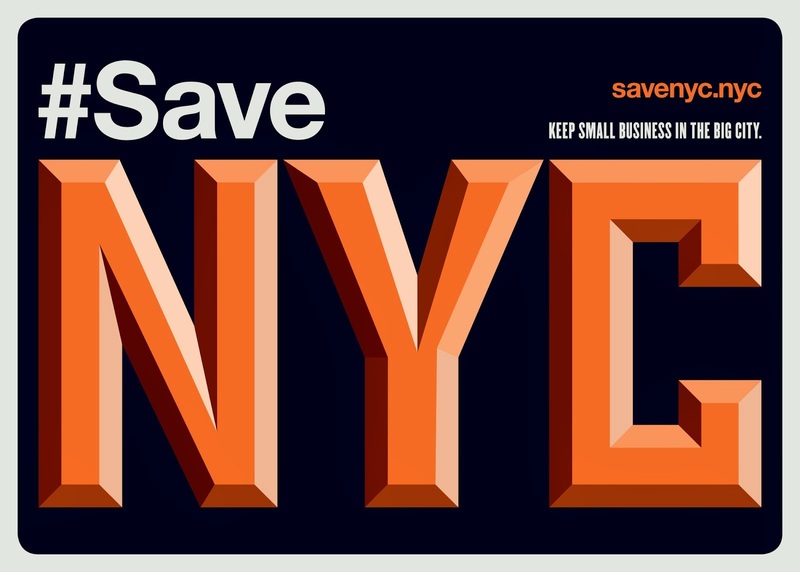 The Small Business Jobs Survival Act (SBJSA) is the best way we currently have to slow down the loss of our small businesses and the scourge of high-rent blight that is killing our streetscapes. Recently, City Councilmember Ydanis Rodriquez reintroduced the SBJSA. Corey Johnson, the new speaker of the City Council, has pledged to give the bill a public hearing, and we hope it will go up for a vote and pass in full force. It sounds good. But supporters of the SBJSA are worried that the City Council will kill the SBJSA once again--or rip out its teeth and pass a watered-down version to end the discussion. But the discussion will not end. Show up and let them know you want a strong SBJSA, not a "REBNY Trojan horse" version of the bill. - Show up at City Hall. Be there and make some noise. - Write to the mayor and ask him to support the SBJSA. Here's a quick form you can fill out in just a few easy steps. - Write to Council Speaker Corey Johnson and ask him to support a strong SBJSA and bring it to a vote. Here's a quick and easy form for that, too. - Here's more you can do. - And talk about it. Talk to your friends, family, and co-workers. Tell them that mom and pops aren't vanishing "because of the market," they're vanishing because the city and state support landlord greed -- but this can change. There are solutions. The first step is raising consciousness. We have to imagine a different city.